Idli, is a must in every south Indian home. Idli is not only easy to prepare but extremely healthy and delicious. Making variety of Idli is an art in cooking. It would be tasty even if its not hot and stays good for the whole day. Thats why people use to carry Idlies during travel time with millagai podi or chutney. Home food is always best and safe to eat. This Kanchi Idli or Kanchivaaram Idli is an exceptional steamed savoury cakepopular in Kanchipuram district of Tamilnadu. 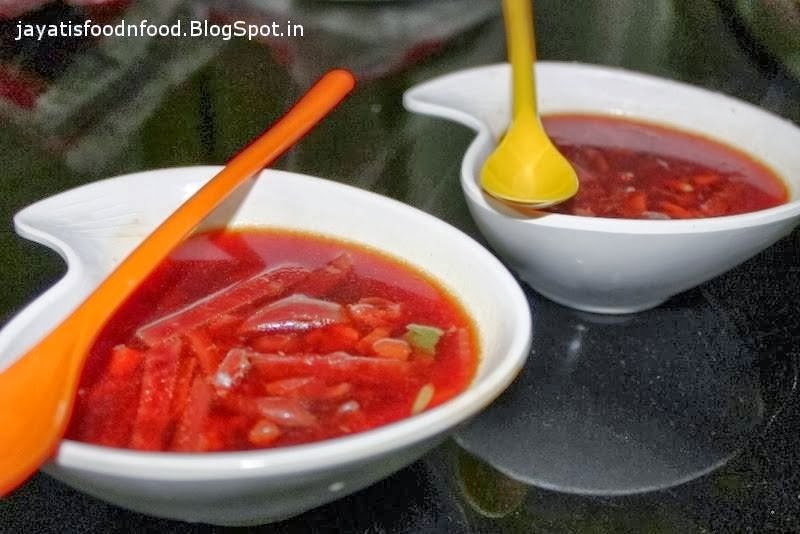 It has aromatic seasoning of ginger, chilli, cumin and pepper. The curry and coriander leaves gives additional flavor with every bite. Fresh thick curd is used to ferment the batter which gives sour taste to the Idli that makes it more tastier. 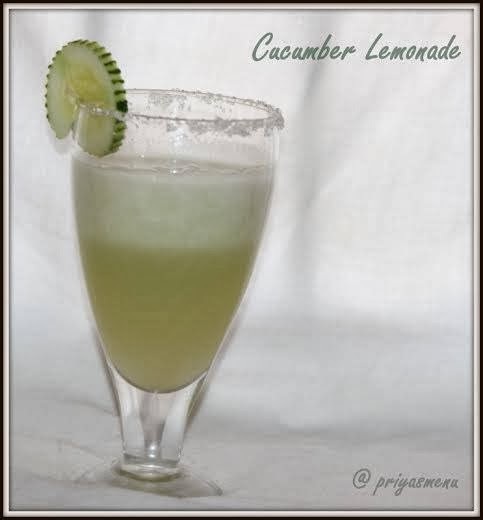 This recipe which I learned from my Amma is my ATF. I love to relish with spicy Idli milagai Podi. 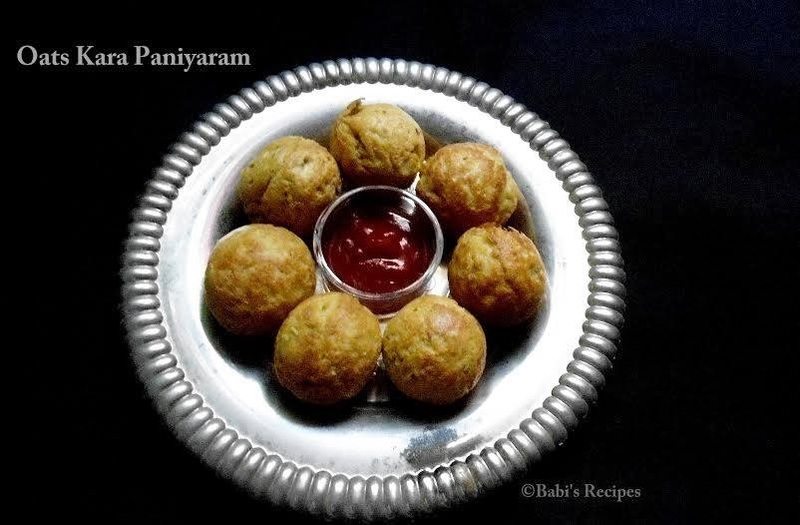 Amma use to make this idli with dried banana leaf cups or small steel katoris. 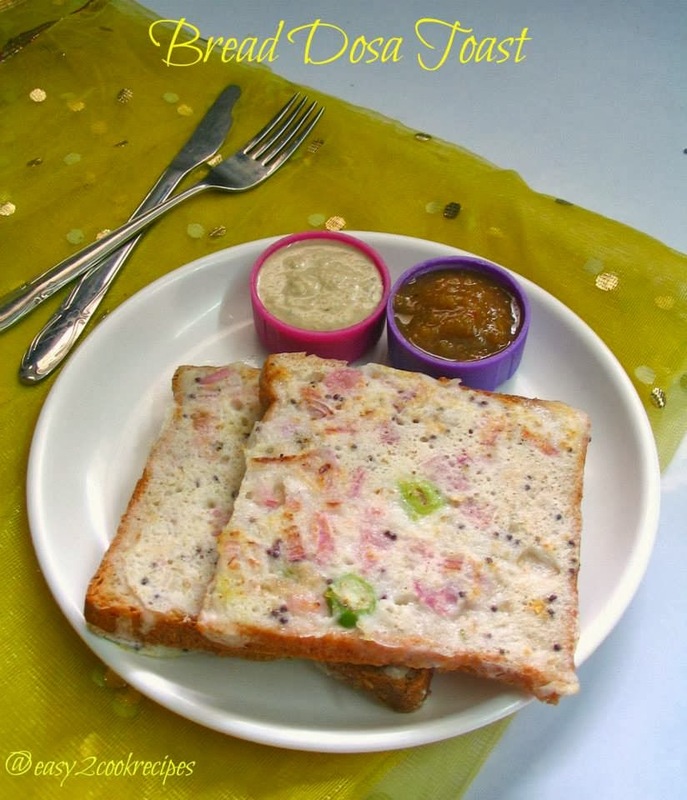 To the leftover batter which turns to be sour is used later to prepare dibba roti(deep thick dosa) or kanchi dosa. Rinse the rice and urad daal seperately in the tap water. Soak rice and urad daal seperately in fresh water for 4 - 5 hours. Grind the urad daal to fine and smooth batter adding water as needed. Grind the rice to coarse batter. The batter consistency should have slight rava texture when touch with fingers. Remember to prepare batter thicker than normal idli batter as later curd will be added. Now combine daal and rice batter in a deep vessel that has higher space in top to allow the batter to rise after fermentation . Add 1/2 cup of fresh curd to it. Mix well with salt as needed. Let the batter ferment for the whole night or minimum 10-12 hours. This Kanchi idli tastes better depends on the fermention process. Next day morning check the batter consistency, it should have doubled in its volume. Gently laddle the batter. Now prepare the seasoning for the batter. Heat Oil+ Ghee in a fry pan. Add the ginger, chilli, pepper and cumin. Let it bring out the aroma. Now add cashew nuts, coriander, curry leaves and finally asafoetida. Switch off the fire. Pour the seasoning to the batter. Mix well. Grease a flat deep plates with a tsp of oil or if you have thattai idli plate use it. The traditional method will have a banana leaf spread first to the bottom of plate and batter is poured over to steam cook. If you can get banana leaf, try this way as the flavour of banana leaf will incorporate into the hot Idlies while steaming. Here I simply used my pressure cooker layered vessel to make idli. Pour the batter 3/4 th of the vessel and steam cook in a cooker for 12-15 minutes. Donot forget to remove whistle before steaming. Instead invert a steel tumbler or bowl to set the pressure inside. This idli usually take longer time to cook than regular idlies. Leaves the idli in the plates for 5 minutes before ummold it. Either cut into triangles or use shaper cutter to unmold the idlies. 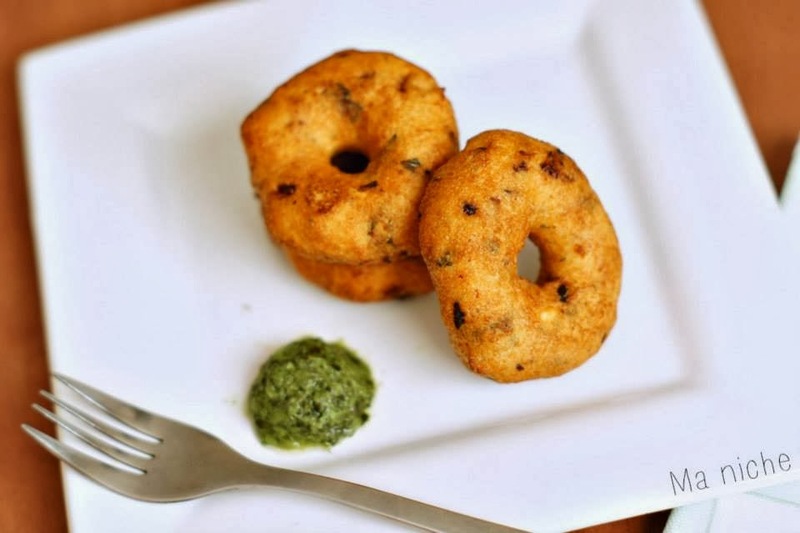 Serve the piping hot idlies smeared with ghee along with Kara Chutney and Idli Milagai Podi. Also if you have time to prepare sambar and chutney, serve with it. 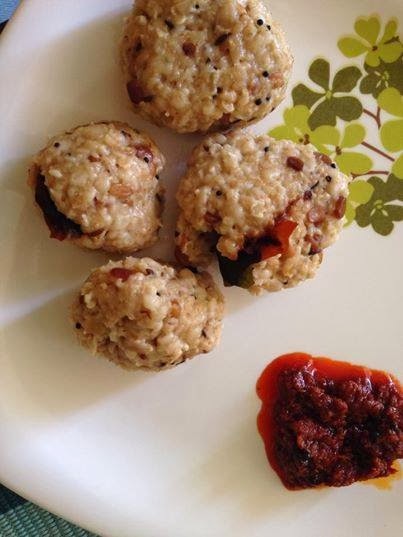 You can use raw rice instead of idli rice. 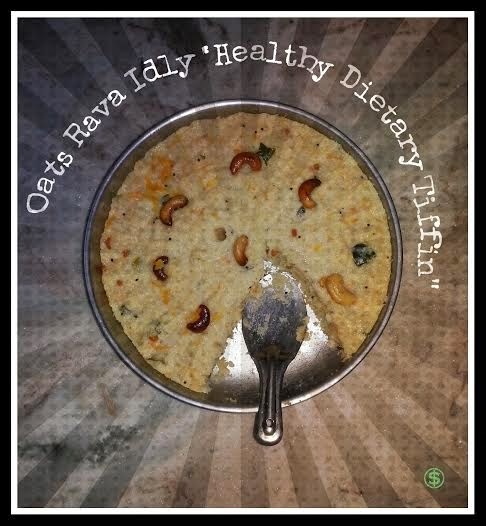 Or use equal portion of idli rice+ raw rice to make the recipe. If you could not find deep plate, use normal idli steaming molds and prepare the idli. Also try with small steel Katori or tumblers. You can even prepare the same seasoning the regular idli batter and add curd. Make the delicious idli as simple as easy. If you wish use soaked chana daal to the batter before steaming which I forgot to mention above. To the left over sour batter prepare the kanchi dosa or dibba roti. This makes your dinner simply delicious. Red Velvet cake is a bright red colour layered cake covered with contrast coloured cream cheese frosting. Normally to give a red colour to this cake red dye/red food colours are used. 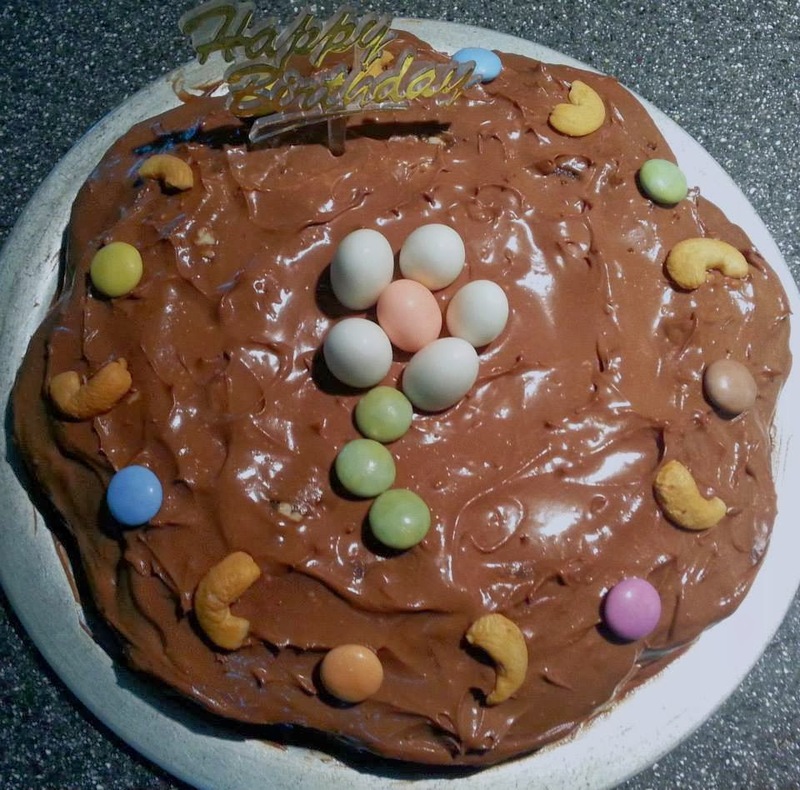 But this recipe is totally natural and organic without any artificial food colouring. This classic gorgeously looking cake is heavenly delicious and moist which is perfect for any occasions. I made it on last valentine's day for my dear hubby. 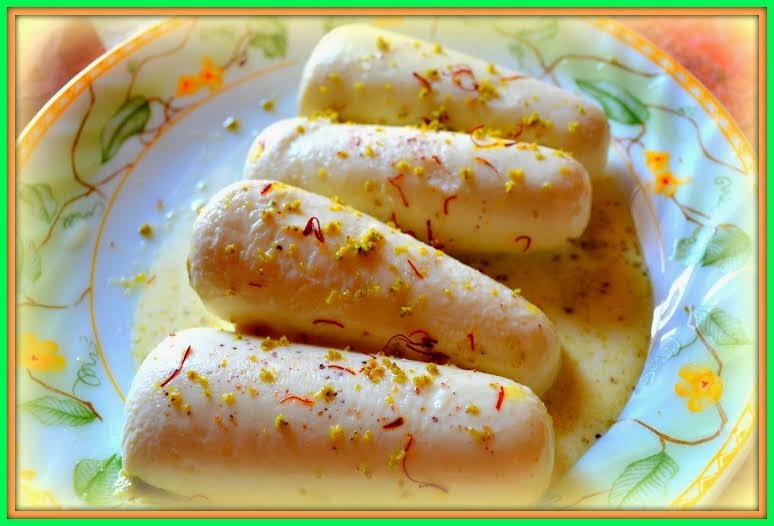 It was a super hit and he was so happy with this appealing dessert that he gave me another surprise gift next day. :) follow this recipe to make all natural Red Velvet cake with cream cheese frosting for your dear ones. 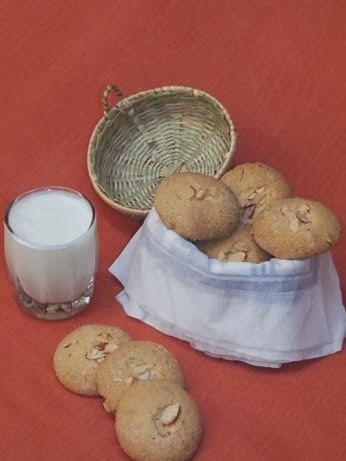 Make homemade crispy, tasty and super healthy oatmeal crackers and keep your family away with all that processed ingredients, additives and preservatives. These crackers are perfect to serve with a cup of tea/coffee in a beautiful evening. Especially when they are super healthy you don't feel guilty anymore to munch few more while relaxing your time. Try this recipe to make your own batch of Oatmeal Savoury Crackers. Rice Kheer is traditionally very popular in all around India. 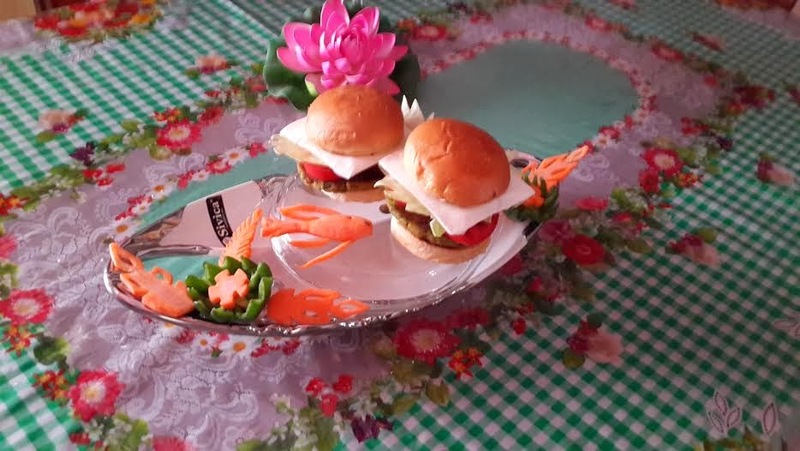 It is made in almost every kitchen especially in festivals and occasions. This time I made this traditional rice kheer with a twist. 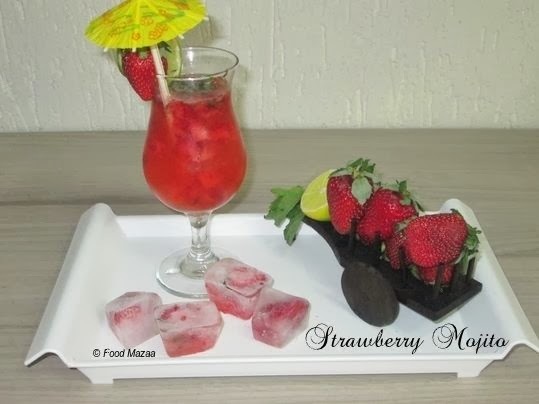 Try making this refreshing pink strawberry version of this dessert. It tasted super yummy and delicious. 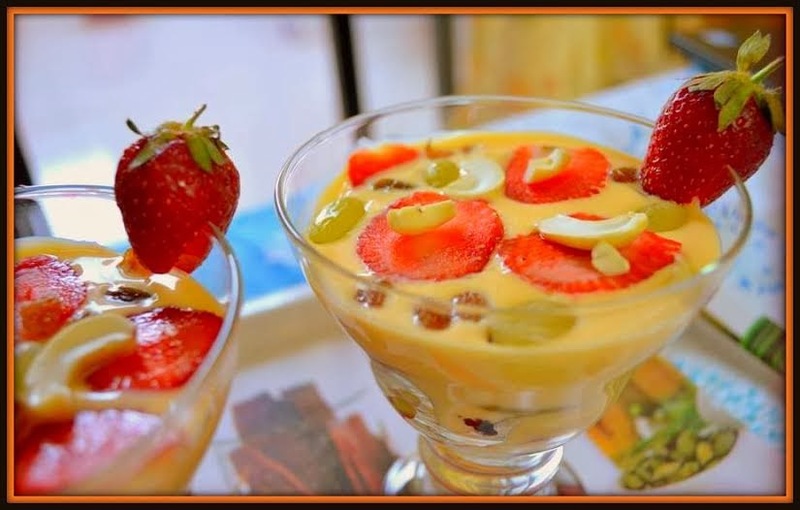 Follow this recipe to make Strawberry Rice Kheer / Strawberry Rice Pudding. 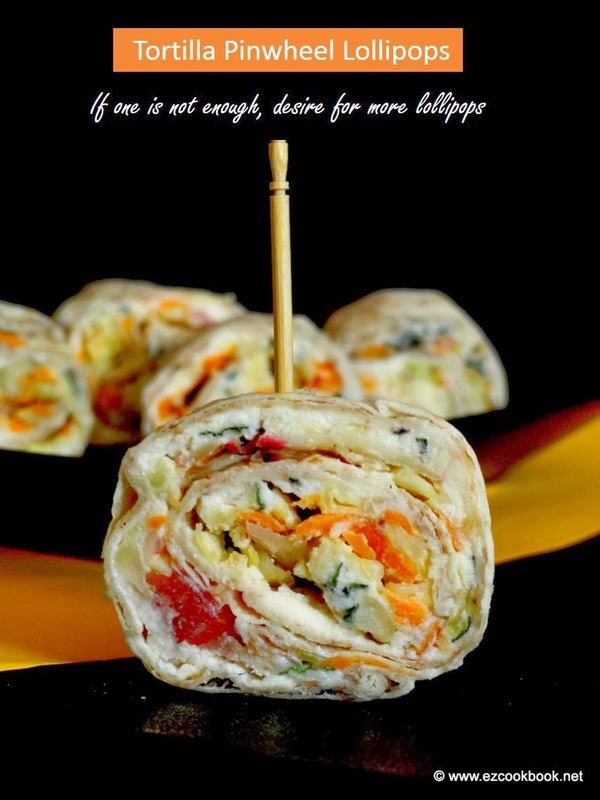 Tortilla Pinwheel Lollipops, I found it a quite interesting recipe while browsing for recipes with tortilla. Sometimes kids lunch box can be boring with routines. But with few kids who loves their food to be more appealing, such as slight changes and presentation, makes a boring lunch to be interesting and memorable. This tortilla pinwheels are quite simple, completely healthy and very easy to try with kids. Even grown ups will easily fall in love with these lollipops. 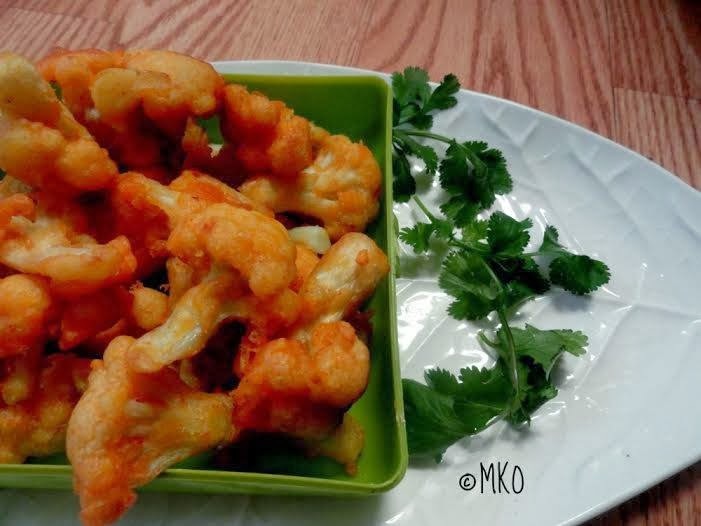 After trying out this recipe I found this could be a best party nibbles, instead of sitting hours and hours of cooking in kitchen for guests. I am thrilled to try this pinwheel lollies for my daugther's birthday party. 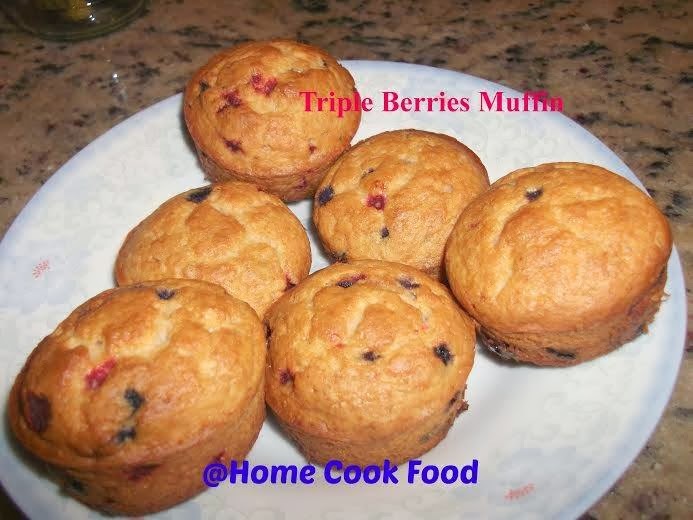 I have made several times since I discovered this recipe and they are simple, easy and delicious. They are perfect for kids lunch box or after school snacks. Such a versatile recipe to adapt and follow with your own desire of ingredients to sneak inside the tortilla, make it a savoury or sweet rolls. I will soon share many recipes using tortilla that are extremely easy to try at home. Blend the paneer and cream in mixie or processor until smooth with salt added. Mix the chopped mint leaves to it. In a large mixing bowl combine all the vegetables with crushed garlic, olive oil, salt and pepper. Toss it. Heat the pan, place the tortilla, add little oil and fry both sides. Now place tortilla on a working top, spread the cream cheese evenly. Top it up with the vegetable mix. Roll it tightly without spilling out. 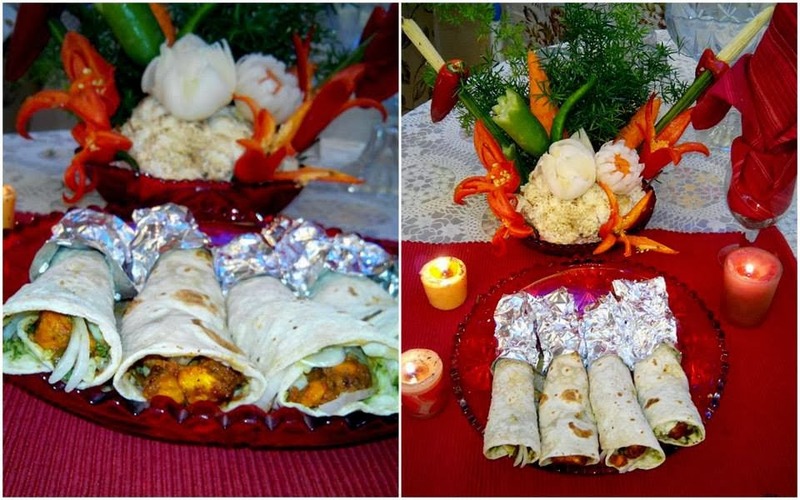 Wrap this tortilla roll with aluminium foil or cling wrapper and refrigerate for an hour to set. This can even be set for overnight in fridge. If you don't have time to keep in fridge, still it works.Slice around 2 inch rolls of each tortilla using knife. Insert a tooth-pick or lollipop sticks to each roll and serve. Since I don't have lollipop sticks in hand I used tooth-picks. Best for kiddo lunch box. 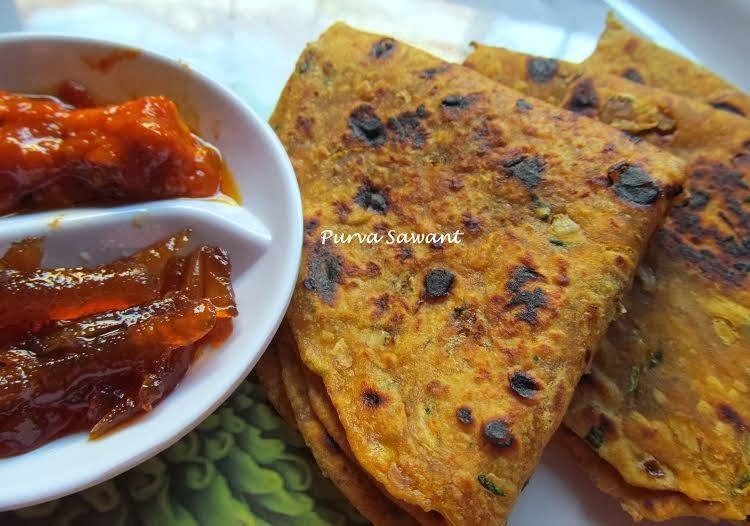 The same recipe can also be tried in chappati or roti in place of tortilla. Usually cream cheese is used to make this pinwheel but for a change I tired with homemade paneer and cream to make this pinwheels. 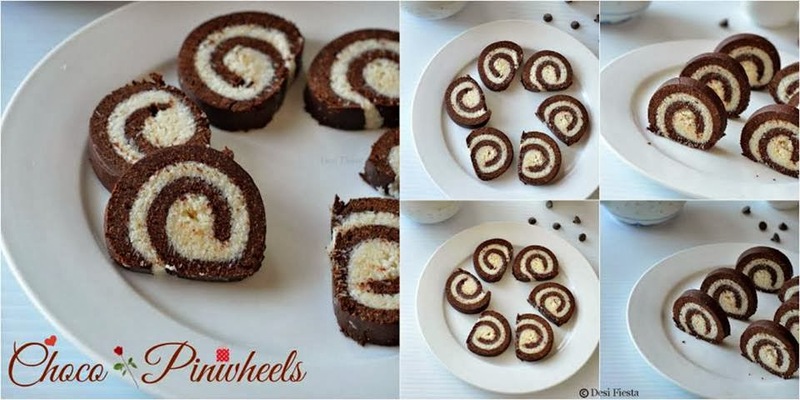 This recipe is just an idea, you can make innovative pinwheels as such that are easy and tasty. Vermicelli and cake is strange combination right??? Vermicelli are mostly used to make payasam or savory upma. While cakes are made from flour...Here I tried this unique combination and made this super delicious no bake cake. It tasted as yummy as normal fruit cake. Its perfect for any festivals or occasion!! Here is the recipe of no-bake, no-egg, super healthy Vermicelli Dry Fruit Cake. Do you also have a sweet tooth like me?? Always running to buy a can of condensed milk to make sweet/dessert??? I tried making it at home this time. Believe me making Sweetened Condensed Milk at home is as easy as 'abc'. Now no need to spend lot of money for buying cans. 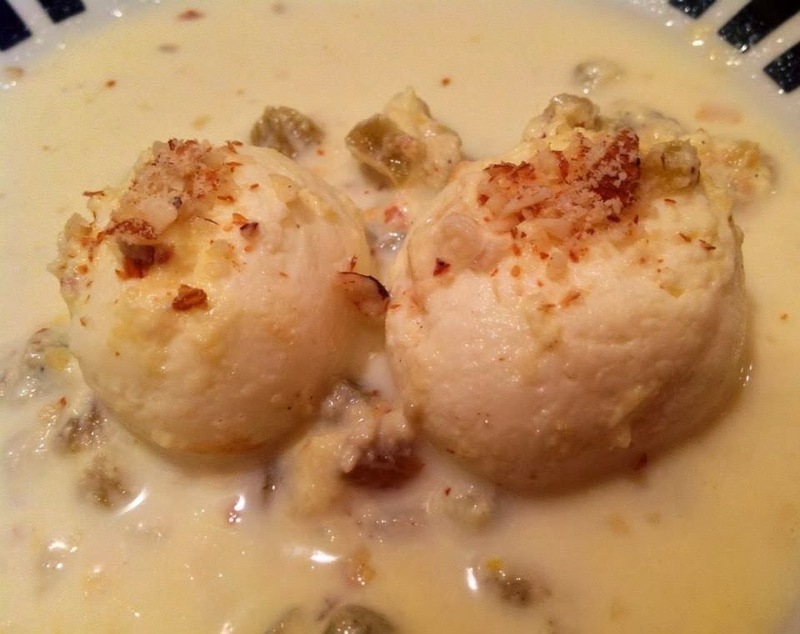 Make it at home, store in refrigerator and use it when a recipe calls for condensed milk. Check out the recipe here to know how to make sweeten condensed milk at home. I had leftover chocolate ganache and whipped cream resting in my fridge. Last days we had enough of cakes and pudding so wanted to use them in some cool dessert. Then My son asked "Mumma, why don't you make my fav chocolate ice cream at home??". I never made it before and thought it will not come out as creamy and smooth without ice cream machine. I thought of giving it a try and freeze it 1st time. But It came out so hard with many ice crystals. And then I searched and learned how to make ice cream without machine. Final result is here in the pictures. It took all my patience and long hours but Ice cream was so smooth, creamy and easily scoopable. Here goes the recipe to make eggless homemade chocolate ice cream without machine. Kootu, I always love this comforting combination of lentil and vegetable. The warm aromatic flavour of coconut, cumin and chilli paste while cooking with the recipe, pudalangai kootu makes me crave to relish immediately with rice, smeared with some ghee. I am sure many of you would try this kootu, that even goes well with roti. Planning for a weekend lunch is quite interesting, also helps in fuss-free cooking. This simple vegetarian lunch is pretty common at my home during weekends. Though we try many exotic recipes outside and even at home, nothing can match a typical home style food. 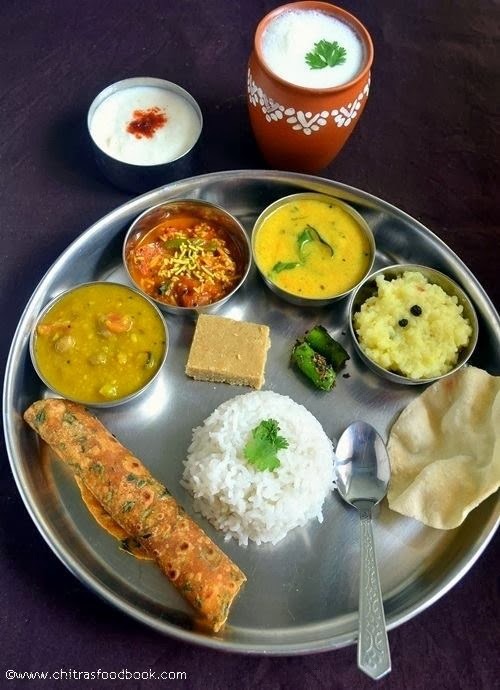 As we all got use to such fresh and tasty home food everytime and also it provides a family re-union during meal time. Every body is busy with their own schedules but having a meal together brings an oppurtunity for a memorable time with your kids. The meal consist of rice, pappu saaru(rasam), Kalchina Vankaya Koora(Roasted Brinjal Tomato Curry), Aratikaya Vepudu(Plaintain Fry) and with homecurd curd. 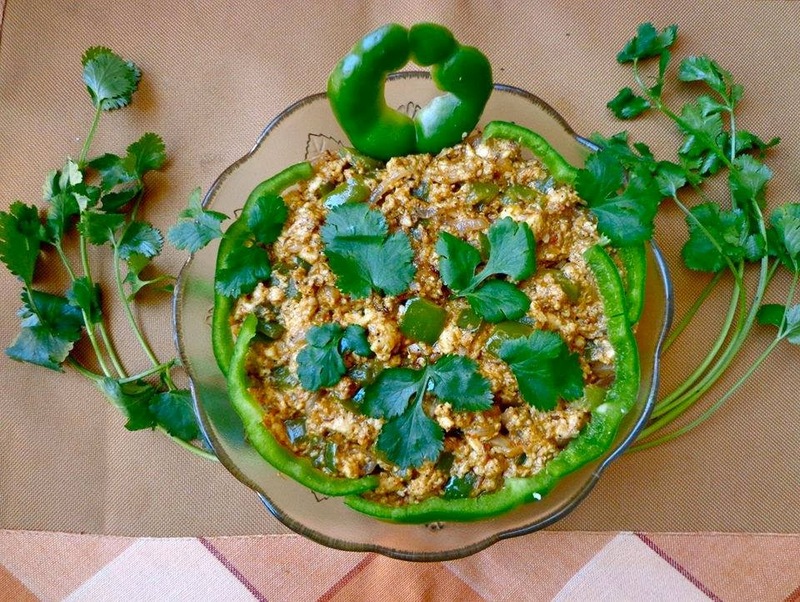 This is simple and very healthy meal that is sufficient for a family of 2-4 persons. 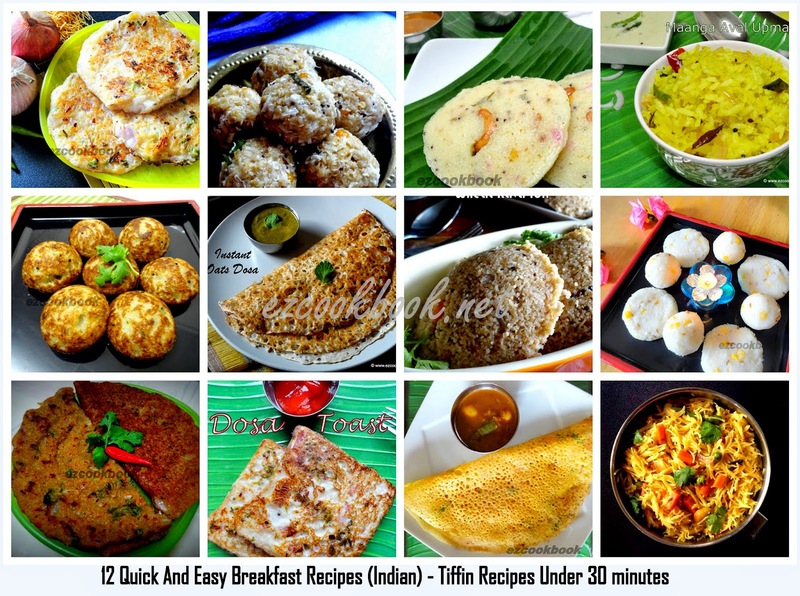 The recipes are typical home style especially with Andhra Touch. In addition you can include some Pachadi and Vadiyaal. First cook rice, wash two cups of rice in tap water. Add 6 cups of water to it. The ratio is 1:3 or 1:2 for those who prefer the rice to be little grainy. Either pressure cook for 3 sounds and simmer for 5 minutes before turn off the fire. Or cook the rice in an open pot with sufficient water. You can fill water till the brim of the pot and cook the rice until done soft and mushy. Remove from stove and drain the excess water called starch. If you have rice cooker follow the pressure cooker procedure mentioned above. For Vepudu/Fry:Chop the aratikaya(green plantain) to thin circles and again cut into four quarters. Cutting the vegetables in even size helps to cook evenly with crisp. 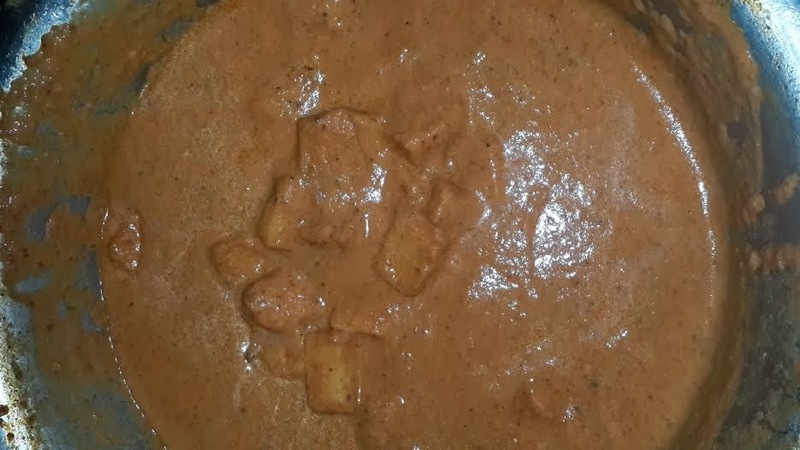 Check the further process for aratikaya vepudu recipe. For Koora/Curry:Roast the big brinjal/eggplant that is dark purple in color with oil applied in the direct flame. This will give smoky taste to the brinjal and fasten the cooking process. Cool and peel the smoked skin. Chop or mash the brinjals. Check the further process for vankaya koora recipe. For Rasam:Soak the thoor daal(red lentil) for few minutes. Pressure cook until soft and mushy with turmeric, gingelly oil and asafeotida. Chop tomatoes, crush garlic and soak tamarind in warm water. 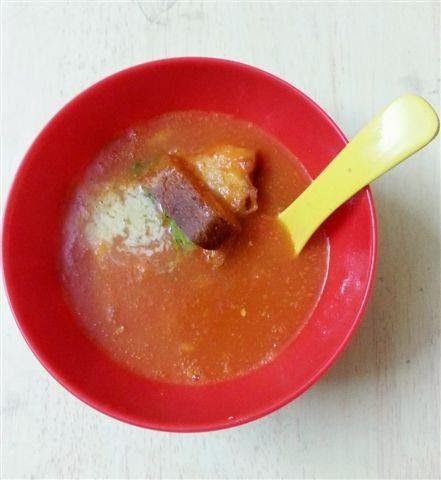 Check the further process for rasam recipe. For curd:Boil milk and set for curd previous day. Or buy the ready to use curd if you donot have time to make at home. Check the further process for curd recipe. We have a winner for "Cook N Win Contest"
As contest has reached the end here we are happy to share our Cook N Win Contest roundup. We got 24 yummy and delicious entries for contest. We would like to thank you all participants for taking part in the Contest. Check it out the contest photo album here . 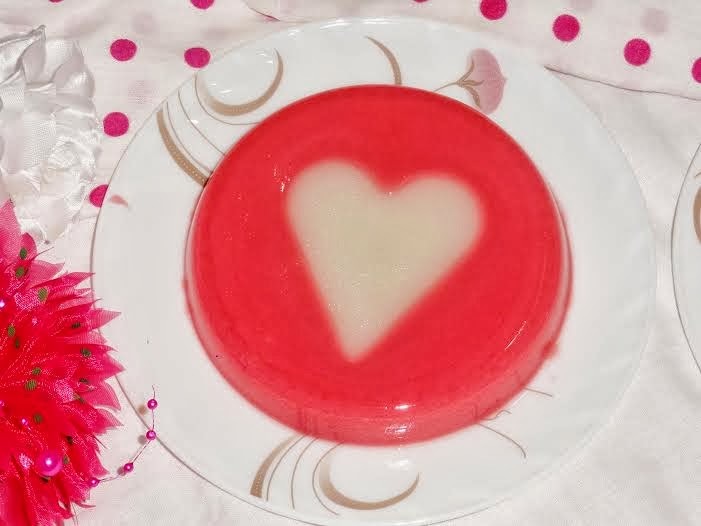 And the Winner is Haseena Banu who made this yummyilicious "Coconut Jelly Pudding" which got total 914 likes and 144 comments. Congratulations Hassena Banu !!!!!! Send your address through mail to claim your prize!!!! Thank you once again to all participant and we wish your continuous support in future to walk together in this fantastic and mouth-watering food world!! !